How Does Flash Pasteurization Work? Yogurt is one of the most common fermented milk products. 3 Does Cooking Raw Milk Pasteurize It? 4 How Does Flash Pasteurization Work? Fermented milk products are inoculated with healthy bacteria that transform fresh milk into a new product with varying states of sourness and consistency. Think yogurt, sour cream, cheese and kefir. Spoiled milk, however, takes on a life of its own and is characterized by a foul odor and slimy, yellowish appearance. Fermented milk products, also called soured milk products, include a large variety of dairy products. 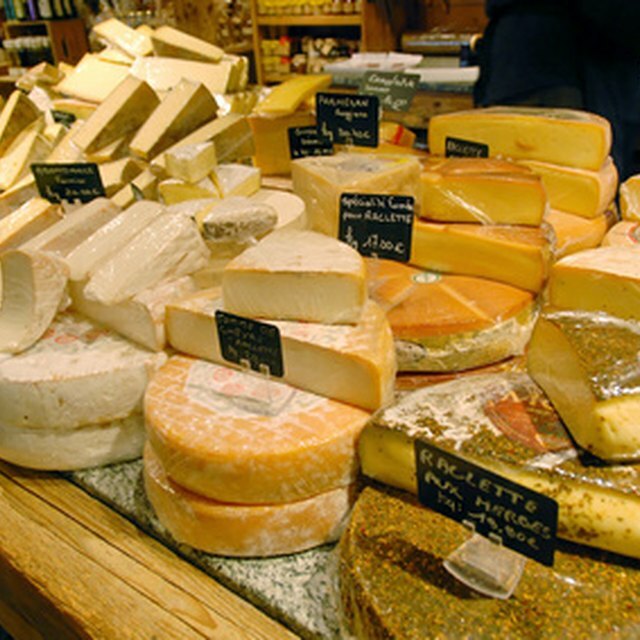 Some of the most common fermented milk products are yogurt, sour cream, kefir and many hard and soft cheeses. These products are all created through the controlled fermentation of milk. A selected strain of bacteria is added and the milk is heated to the appropriate temperature needed for that specific bacteria to multiply. The time and temperature used to ferment the milk varies greatly depending on the finished product and type of bacteria used. Spoiled milk will have a completely different flavor and smell than that of soured milk. Spoiled milk is most easily identifiable by its yellowish color change, slimy appearance and a foul, but not rotten smell. This milk is most often spoiled by cold-loving bacteria that will overpopulate your carton once it's well beyond its sell-by date. Pasteurized milk has had the most dangerous bacteria removed, but poor storage conditions or introduction of bacteria into the milk can still cause spoilage. Ensure that your milk is held in a refrigerator that is set between 38 and 40 degrees Fahrenheit for the longest storage time without spoiling. Milk is often intentionally curdled to make quick cheese products such as ricotta and paneer cheeses. Using high temperatures and acids like lemon juice or vinegar, you are able to separate the curds from the whey for cheese making. The acid is literally cooking the proteins, which causes them to coagulate together and precipitate from the remaining whey. However, if your milk curdles in your refrigerator on its own, this is typically a sign of spoilage and it should not be consumed. Milk should be discarded once it has curdled while in cold storage, as this can cause foodborne illness. Fermented milk products are believed to be beneficial to your gut health by introducing it to billions of live microorganisms. By introducing these healthy bacteria into your digestive tract, you can aid in your digestion, improve immunity, enhance metabolism, and help maintain healthy bones, teeth and skin. Fermenting milk products also increases their shelf life well beyond their original expiration dates. Introducing fermented foods and milk products into your diet is a positive way to improve your health with just a simple change in your diet. Dairy Council of California: Can You Drink Milk Past Its Sell-by Date? Can You Drink Milk That Expires the Same Day?